All-In acknowledges that working in the arts can often be solitary and lonely; working for lengthy spells alone and independently. By bringing artists together we can explore better working practices, problem solve and start to nurture collaborations of tomorrow. 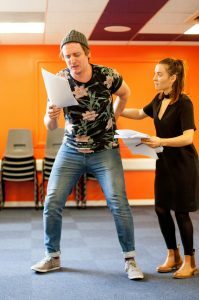 Our events are open to professional actors, producers, directors, theatre practitioners, filmmakers and other performing arts professionals based in the region to discuss their careers, creative processes and the issues that they face with their careers.